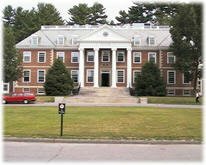 Tuck School of Business at Dartmouth has announced its MBA Essay Questions for 2014-2015 following up the release of its MBA Application Deadlines. Tuck has reduced the number of questions from 3 to 2. Tuck continues to have a career goals and leadership question, but has eliminated its failure question. 4. (Reapplicants) How have you strengthened your candidacy since you last applied? Please reflect on how you have grown personally and professionally. For more information, visit Tuck Admissions.